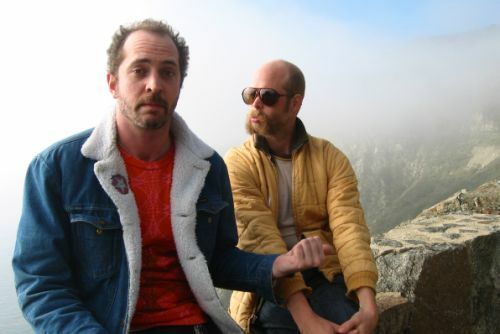 A huge thank you to the hero who filmed and uploaded this 2004 Will Oldham concert, with Matt Sweeney, to Youtube. All seventy minutes and nineteen seconds of it. This is as close as many of us will ever get to the Superwolf tour, unless Oldham and Sweeney decide to revisit the material with the same intensity and fervor originally mustered. For a thorough, aural, document of this particular incarnation, check out the live LP Summer In The Southeast, which gathers fourteen tracks from the Superwolf tour. The band was made up of: Will Oldham, Paul Oldham, Matt Sweeney, Pink Nasty, Peter Townsend, David Bird, and Ryder McNair. Some spirited versions of songs you never could have existed beyond their bare origins.